Uninor is hacked again for free GPRS. 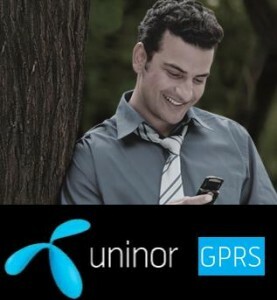 Uninor is a leading service provider in India. It provides a lot of gifts and offers to the customers. Its Internet recharge pack is also very cheap. uninor provides 6GB of free data per month at only Rs.60. Internet speed is also not bad. Anyway, here is the latest Uninor hack to get free GPRS. By using this trick, you can get unlimited Browsing and Downloading at high speed. Just follow the instructions below. You can see an address bar there. Type your desired url there and enjoy. If your Default Browser is Opera Mini and You can't access Default browser directly, in the above settings, add wap.myuninor.in.php.t9space.com as your Home page. Now go to Menu> Web> Home and do as above. You Don't need to configure proxy in settings when you uses a handler. It can be configured in handler itself. First, install the handler and open it. Click on network settings. Enter proxy and port as above. in the place of Front Query, type wap.myuninor.in. Now save the settings and enjoy free GPRS! it is working fine for me. Please comment if it is not working for you.